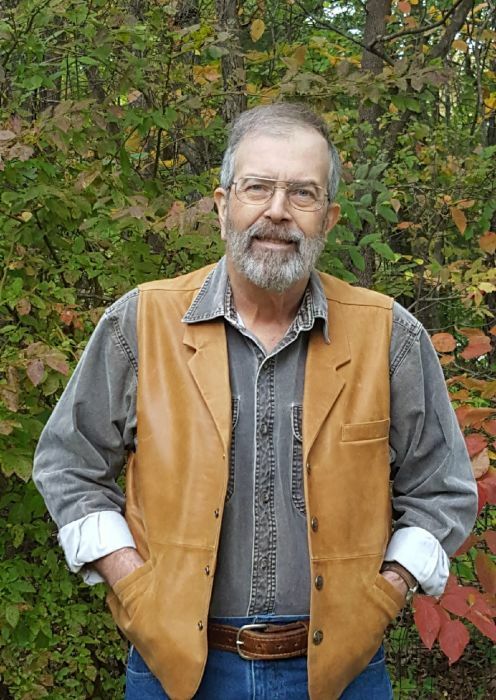 Robert Reed ‘Robb’ Walls, age 60 of Oneida, TN, went home to be with his Savior Jesus Christ on Tuesday night, January 1, 2019, surrounded by his loving wife and precious daughter. Born December 30, 1958, in Somerset, Pulaski Co., Kentucky, he was the son of Lincoln Walls and the late Glenys King Walls of Revelo, Kentucky. He was a devoted Christian and member of the Oneida Church of Christ. Robb was a 1972 graduate of McCreary County Central High School. Furthering his education, he received his B.S. Degree from the University of the Cumberlands with a major in computer science and a minor in mining technology; later receiving his teaching certification from the University of TN in Knoxville. Additional training was received from Eastern KY University, Somerset Community College, Pellissippi State and TN Technology Center at Oneida/Huntsville. Robb retired from his teaching profession after a combined career of 24.5 years in the Oneida and Scott County School Systems. Prior to that, Robb worked for Richland Coal Co. and also worked part time for Rexon. In his early years, he spent his summers working in TN on Robert Anderson’s farm, and also the Boyle farm. There he learned many valuable skills that would carry him throughout his life. He had a great love for God and exploring God’s creation through hunting, fishing and Jeep rides with family and friends. Preceding him in death was his mother: Glenys King Walls; maternal grandparents: Frank M. King and wife Zora Cooper King; paternal grandparents: William Ernest Walls and wife Myrtle Ethel Logan Walls; father-in-law: William Claude Terry, Jr.; brother-in-law: John Hemphill; aunts and uncles: Denzil and Laura Jane King, Don Torstrick, Bob Minton, Rondald and Barbara Walls, and Reba Jean Walls. Robb is survived by his wife of 25.5 years, Patricia Terry Walls; daughter: Amanda Glenys Walls; father: Lincoln Walls; mother-in-law: Fayrene Terry; brothers and sisters-in-law: Gail Terry, Wilda Rumbaugh and husband Andy, Claude Terry and wife Cindy; aunts and uncles: William Walls, Jean “Chris” Christiansen, Deloris Torstrick, Lida Minton, Boyce and Ilaree Allen; nieces and nephews: Alex and Jacob Rumbaugh, Meagan and Margo Perkins, and James and Caroline Hemphill; special friends: Lee Armstrong and Darrell Waters. Friends may visit with the Walls family on Saturday, January 5, 2019, from 12:00 P.M. until time of Celebration of Life Service at 2:00 P.M. at the Oneida Church of Christ with Mr. Landon Sexton, Mr. Darrell Waters, Mrs. Judy Hutchings, Mr. Lee Armstrong and Mr. Claude Terry, III speaking. Burial will follow in the Litton Cemetery – Terry Addition. Pallbearers: Jacob Billingsley, Jacob Rumbaugh, Alex Rumbaugh, Andy Rumbaugh, Steve Armstrong and Larry Wallen. Honorary Pallbearers: Leroy Phillips, Joey Puckett and Steve Hall. In Lieu of Flowers: the family suggests donations be made to your choice of the following: (1) Tennessee Plateau Oncology, 125 Litton’s Covered Bridge Rd., Huntsville, TN 37756, or (2) St. Jude Children’s Research Hospital, 262 Danny Thomas Place, Memphis, TN 38105. Jones & Son Funeral Home is serving the family of Robert Reed ‘Robb’ Walls.